All of the posts under the "Xmas Songs" tag. 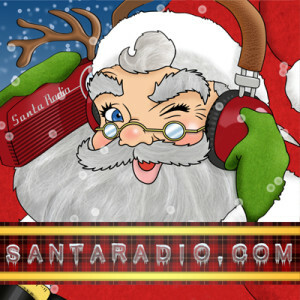 Santa Radio’s Top Ten Christmas Music list will capture the spirit of the holidays with Mariah Carey’s chart topping hits that have been holiday favorites for years to a favorite of Mrs. Claus (don’t get Santa started), Michael Buble’s beloved and current renditions of classic magical Christmas standards perfect for putting anybody in the holiday and Christmas spirit. Whether you are an aficionado of jazz or swing music or not, jazz songbird Ella Fitzgerald’s Christmas album “Ella Wishes You A Swinging Christmas” will bedazzle you with its infectious rhythm and upbeat melodies that sets it apart from other traditional holiday albums. Whether your holiday season involves indulging on a shopping frenzy to pick out the perfect gifts for friends or relatives or preparing all the holiday essentials to make a festive holiday environment like Christmas lights or a Christmas tree, “The Sinatra Christmas Album” will help relieve all the holiday stress and help you recognize what celebrating the holiday season is truly about. A class of its own, Mannheim Steamroller is the most popular symphonic pop, holiday album and has been a mainstay in Christmas music. Primarily known for its contemporary renditions of Christmas music, Mannheim Steamroller’s album “Mannheim Steamroller Christmas” has been a signature staple for holiday music. 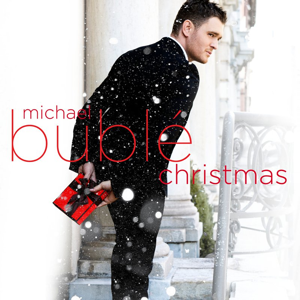 Reputable for his on-stage charisma and bearing inevitable comparisons to legendary icons like Frank Sinatra, multi-platinum artist Michael Bublé has become a musical singing sensation and his album “Christmas” has catapulted him to even greater heights of success. The holiday season can spark and create some of the most special moments with loved ones. 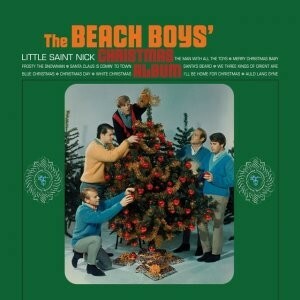 It’s only necessary for the holiday season to have a soundtrack to complement these cherished memories. Nat King Cole’s “The Magic of Christmas” album is an intricately crafted album to decorate and adorn your memories during the special, holiday season. 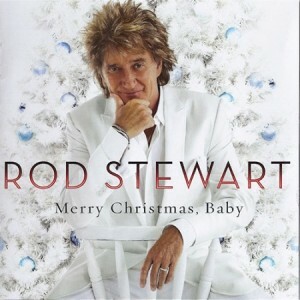 Rod Stewart’s “Merry Christmas, Baby” features the signature and distinctive raspy vocals of the American songwriter in his easy- listening renditions of holiday songs. With the lovely, sweet and ethereal vocals of Karen Carpenter and soothing piano music performed by Richard Carpenter, it is no wonder the talented and dynamic duo is capable of crafting the most beloved Christmas songs for the most celebrated holiday season. 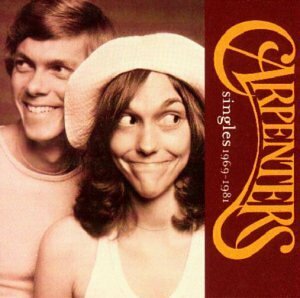 By recreating their own renditions of timeless classics and also crafting their own delightful 70’s Christmas songs, The Carpenters have been known for performing some of the most cherished Christmas songs of their time such as classic hits “Merry Christmas, Darling” and “The Christmas Song” that have delighted people from all ages for decades. Being the only Christmas Album christened with the presence of Karen Carpenter’s vocals, it has become iconic and a mainstay in Christmas play lists. This vocal and instrumental duo were iconic in the 70’s and their delightful music has a timeless quality that can still transition to current times and be labelled a classic and considered an album of historical significance. If you would like soothing, sensitive and lovely holiday music to accompany your holiday experience, the Carpenters’ “Christmas Portrait” is the ideal soundtrack to listen to as you exchange gifts with loved ones and participate in all the holiday festivities the season has to offer. Rod Stewart incorporates a variety of genres in his interpretations of Christmas songs such as rock, folk music, soul music, and blues. Grammy Award-Winning, legendary singer Rod Stewart features both traditional Christmas songs and original songs in this swinging, yuletide album. Featuring traditional songs like “Have Yourself A Merry Little Christmas,” “Silent Night,” and “What Are You Doing New Year’s Eve?” with a soft rock twist, Rod Stewart’s “Merry Christmas, Baby” album embodies the Christmas spirit to perfection. The album features a variety of award winning and eclectic mix of artists collaborating with Rod Stewart including Cee Lo Green, Ella Fitzgerald, Mary J. Blige and Michael Buble which adds a refreshing twist and sets it a part from most holiday albums. The album is lush and soulful and embraces the true meaning of Christmas. This holiday from one of the best selling recording artists of all time speaks volumes about his talent and versatility. Standouts of the album include “Red Suited Super Man” which is an original and unique and pays adage to Santa Claus himself. Along with other standouts on the album, “Red Suited Super Man” is one of the main reasons why Radio Santa put this album in Radio Santa’s Top Ten Christmas Albums. It is not easy to bring peace, joy and love and deliver presents to every single home across the world; hence,Radio Santa Claus appreciates that Rod Stewart took a little time out of his day to write a song that strokes Radio Santa’s ego. If you love the timeless soul that Rod Stewart has nailed down to perfect and love holiday songs, then Rod Stewart’s “Merry Christmas, Baby” is for you. This Christmas album is contemporary and showcases Stewart’s soulful style at new heights. With collaborations with new and contemporary artists and remastered yuletide carols that will bring the spirit of the holidays to where you are, Rod Stewart’s “Merry Christmas, Baby” is a classic staple for the holiday season.